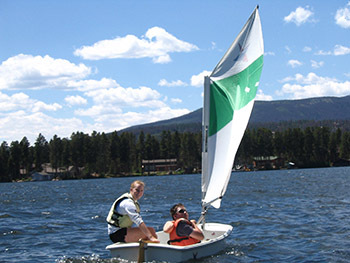 Enjoy the stunning mountain scenery around Grand Lake and learn basic sailing techniques from junior members of the Grand Lake Yacht Club. Bring a sack lunch and plenty of water. Participants must be independent and manage self-care or bring a care-giver to provide assistance. Price: No charge, thanks to a grant from Grand Lake Yacht Club.